Nursing is the largest healthcare profession in the US, with more than 3.1 million registered nurses. It also ranks as one of the most dangerous. 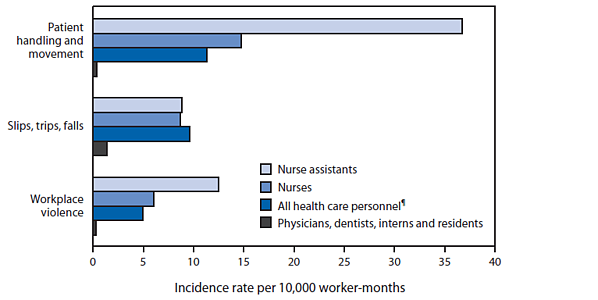 Nurses are more likely to suffer a job-related injury than any other profession in the United States. "Just about everybody who has studied the hospital industry agrees that it needs to confront the epidemic that plagues many of its staff: Tens of thousands of nursing employees suffer debilitating injuries every year," an NPR special series on nurse injury stated. According to the US Department Bureau of Labor Statistics, back and other injuries affect nurses and nursing assistants to such a degree that approximately 35,000 per year miss work to recover. Unfortunately, most of these injuries are due a routine and necessary part of the job, handling patients. Lifting, moving, repositioning, pushing, and otherwise physically assisting patients is difficult enough under normal circumstances. As the average weight of Americans increases and the morbidly obese are more likely to need medical care, these tasks will become even more taxing—and dangerous. 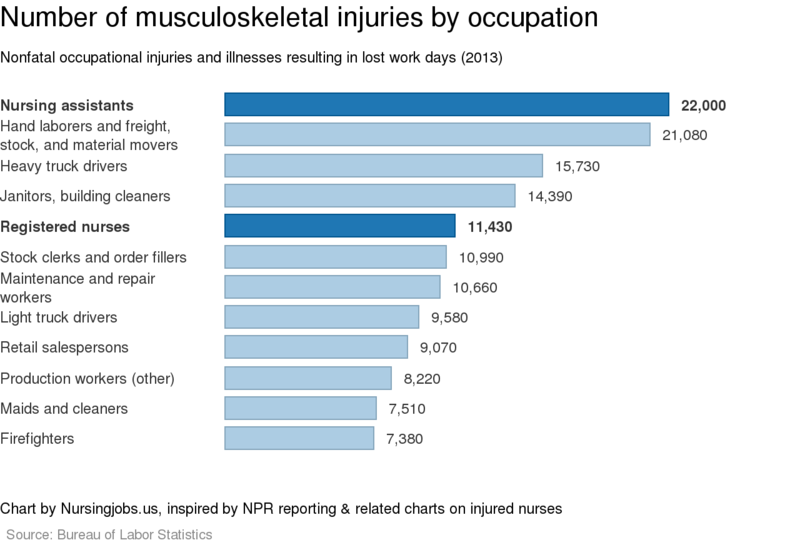 An editorial on the NPR series points out that nursing assistants suffer more back injuries at work than any other occupation identified by the Bureau of Labor Statistics, including warehouse workers and heavy truck drivers. Registered nurses come in fifth place. And according to the Centers for Disease Control, the problem is getting worse; musculoskeletal (MSK) disorders are increasing among healthcare workers. They note that interventions (e.g., the use of safe patient handling equipment) could reduce these patient handling injuries, particularly for activities involving positioning, transferring, or lifting a patient. Healthcare institutions could also provide resources such as training in safe patient handling to stem the tide of injuries. Endoscopy nursing is consistently ranked among the riskiest nursing specialties in terms of frequency and likelihood of MSK injury. In three recent studies involving over 600 endoscopy nurses, more than half had suffered at least one MSK injury, and 24.1% indicated that they were forced to miss work to recover. Why the discrepancy? As is the case for nurses in general, MSK injuries among endoscopy nurses can often be traced back to patient handling. However, endoscopy patient-handling responsibilities are unique due to a common complication—looping. 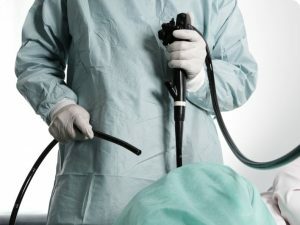 During colonoscopy, looping occurs when the colonoscope stretches and distends the colon in response to the physician’s efforts to advance the scope forward. Looping is the primary cause of patient pain, complications, and failed procedures. It also increases the overall risk and cost of colonoscopy. Therefore, there is a strong incentive to mitigate looping as much as possible. Along with physician scoping techniques, the best way to address the issue is to apply counter-pressure to the patient’s lower abdomen to “splint the colon” (i.e., hold it in place). Almost universally, the responsibility for providing this counter-pressure lies with endoscopy nurses and technicians supporting the procedure. Furthermore, if manual pressure fails to prevent looping, often the nurse must roll the patient onto his or her back. Although these practices might seem unorthodox to those outside of gastroenterology, published studies estimate that manual abdominal pressure and patient repositioning are required in more than half of all colonoscopies. Another study found that when manual pressure was needed, nurses spent 6.3 minutes per procedure applying pressure. I have been in endoscopy for about 30 years. 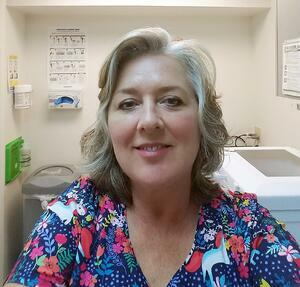 I have worked at several hospitals, endoscopy centers, and surgery centers. The biggest challenge I have when supporting colonoscopy is providing abdominal pressure. The most difficult position is leaning over the patient and pulling up on the abdomen. I have injured my neck, shoulders, back and wrists during the course of my career, which I fear will be cut short if I continue to injure myself. I have lost countless hours of work and have had to go on disability because of an acute injury. As I get older, I find that I hurt more often and for longer periods of time. This prevents me from keeping up with my day-to-day life outside of work, like cleaning house, doing laundry, or exercising because of back/shoulder pain or numbness in my hands. If I didn't have to provide abdominal pressure or help reposition patients during colonoscopies, I would be free to properly assist the doctor take biopsies, etc. during procedures. I would be in less pain at the end of the day, and I wouldn't have to be afraid of seriously injuring myself. Finally, and most importantly, I would feel secure that I will be able to continue the career that I love so much. In the 1990s the U.S. Department of Veterans Affairs estimated that its hospitals spent at least $22 million each year treating back and other injuries among nursing staff. In response to these findings and similar national trends, the VA developed a system-wide program, which, among other measures, set a maximum weight for moving and lifting patients. Safe patient handling and mobility (SPHM) technology was also a key component of the program. This equipment, ranging from lifts to simple patient turning devices, can be used to mobilize patients gently, without risking injury to patients or caregivers. The results speak for themselves; the the SPHM program reduced injuries by over 40 percent since 2006. A barrier to change can be change itself. Nurses who have successfully practiced for decades may not see the need for new equipment and processes. In fact, the VA initially ran into a roadblock—the nurses themselves. The SPHM program was designed to save them from serious injury, but that didn't mean that they were compliant. Equipment like patient lifts seemed overly complicated and unnecessary, so it often sat unused. 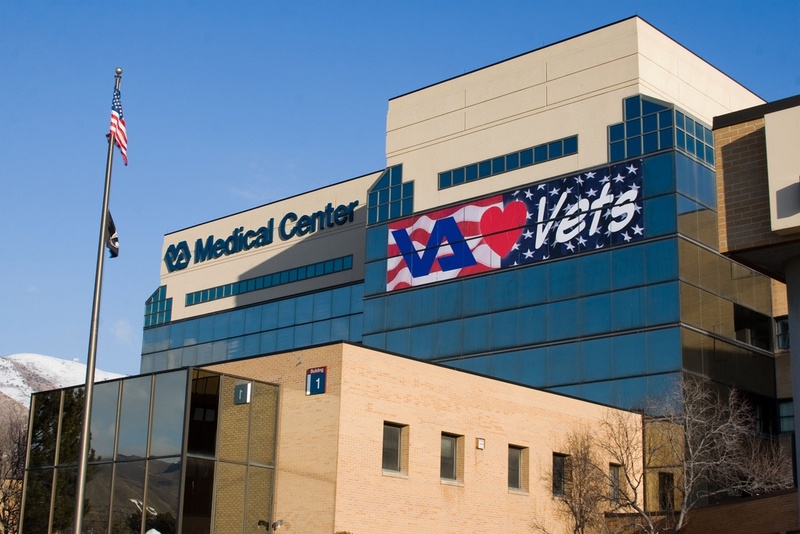 As a result, the VA required a full-time coordinator for each facility to provide education and support for staff and to act as a safety champion. Although endoscopy nurses may on occasion use lifts and slings to assist their patients, the bulk of their physical stress comes from applying sustained manual pressure or repositioning patients during colonoscopy. ColoWrap is a simple piece of SPHM equipment that exerts pressure on a patient's abdomen so that nurses are freed from this responsibility. The non-invasive device is applied just before the procedure and is worn during the exam. 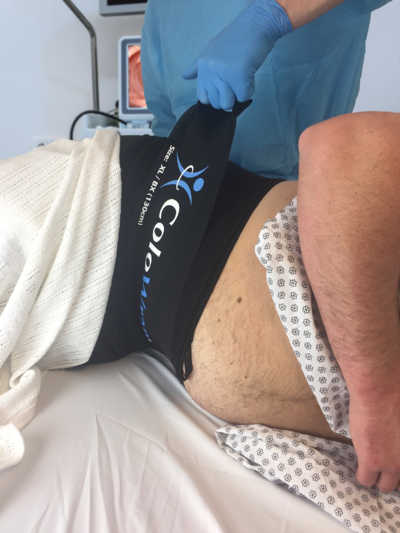 A primary band exerts firm, consistent pressure on the patient’s lower abdomen, and a secondary strap can be adjusted during the procedure to exert additional pressure on the sigmoid and/or transverse colon, as needed. ColoWrap dramatically reduces the need for manual pressure and patient repositioning because the device itself prevents looping. In numerous studies, use of the device has been shown to eliminate the need for manual abdominal compression and patient re-positioning in up to 90% of procedures.